A meeting between Southern Azerbaijan leader Mahmudali Chehreganli and World Uyghur Congress Leader Rebiya Kadeer establishes plans for increased cooperation. The leaders said the Turks of South Azerbaijan and East Turkestan are the same nation, underlined the importance of cooperation between the two organizations. 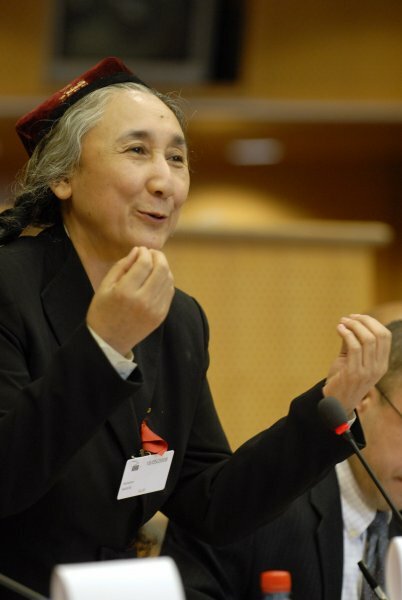 Mahmudali Chehreganli and Rebiya Kadeer underlined that South Azerbaijan and East Turkestan will act jointly in struggling against each other’s enemies. Both leaders said Iranian or Chinese governments will never prevent the Turks of South Azerbaijan and East Turkestan from struggling, expressed their confidence that 35 million Turks of South Azerbaijan and more than 20 million Uyghur Turks will be soon liberated.